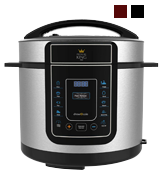 The Pressure King Pro PKP5LCH can be used for pressure cooking, steaming, and slow cooking. Meanwhile, a fast reheat option will allow you to quickly warm any leftovers. 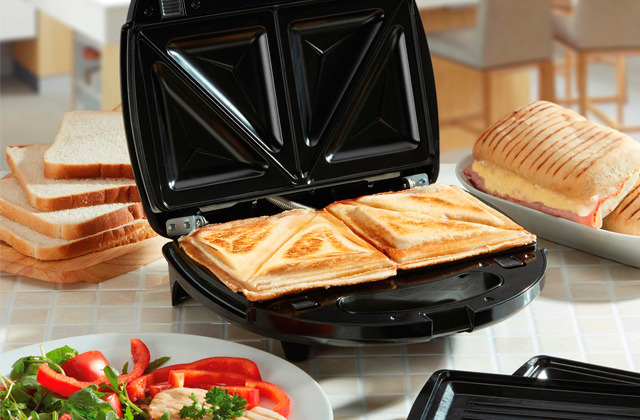 This top-notch appliance is equipped with as many as 11 safety protection features. With the Pressure King Pro PKP5LCH, making a hearty, scrumptious meal will become a whole lot easier. Thanks to its wide set of safety features and pre-set programmes, the model is equally suitable both for beginners and seasoned cooks. The appliance features a 90-minute programmable timer; when the dish is ready, a 24-hour keep-warm function activates. So, there is no need to control the cooking process - the dish will stay nice and warm until your meal time. The included measuring cup is a bit flimsy. 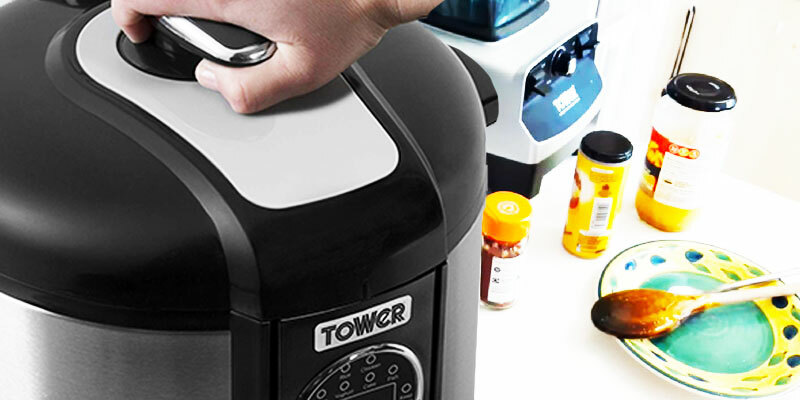 The Tower Health T16005 will surprise you with its amazing capabilities. 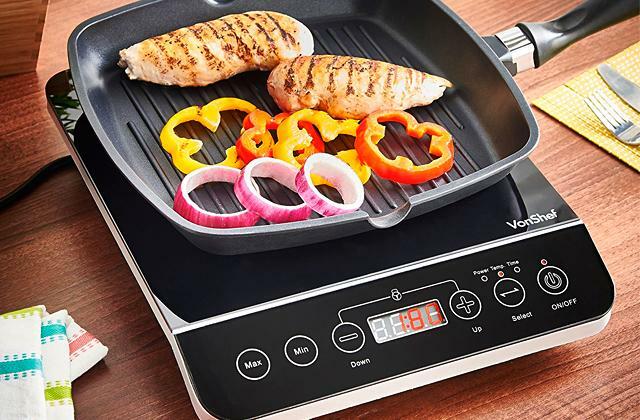 Featuring handy digital controls, an ergonomic backlit LED display, and a brushed stainless steel body, it is an excellent buy for healthy food lovers who value their time. Thanks to a variety of pre-set programmes and intuitive manual controls, it will be easy to pamper your loved ones with wholesome and delicious dishes while spending less time and effort on cooking. The item is a little heavy to lift. 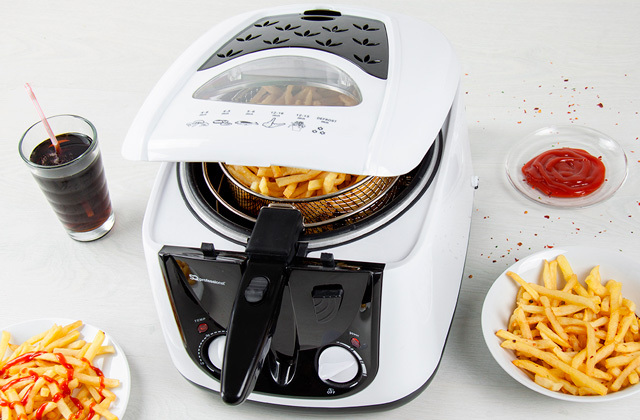 This multifunctional appliance will make your daily cooking chores much easier. 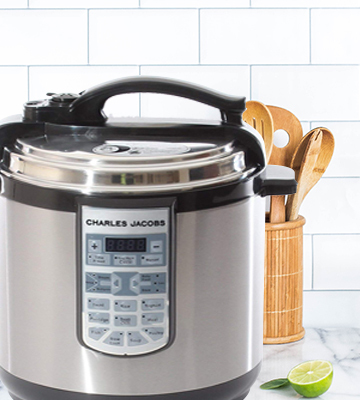 Powerful and capacious, the Charles Jacobs 8-litre electric pressure cooker will allow you to prepare more servings at a time, thus saving both electricity and your time. This model will be especially appreciated by true rice lovers. It has special separate programmes for cooking white, brown, and multigrain rice. It might take some time to get used to its handles. Being a wonderful alternative to a conventional stove on a campsite, the PowerDoF YA500 can also become an excellent helper in any kitchen. It does most of the job for you. A must for rice lovers! 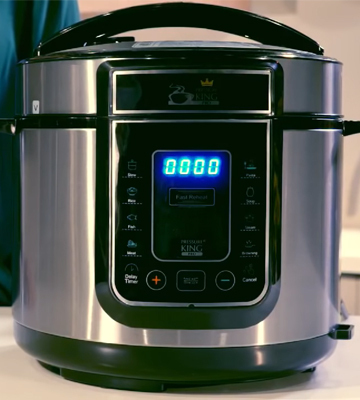 This innovative multi cooker can be used to boil, bake, stew, and even smoke various foods. It comes equipped with a steaming/smoking rack with hooks and removable shelves that will allow you to smoke a whole chicken as well as smaller items like sausages. 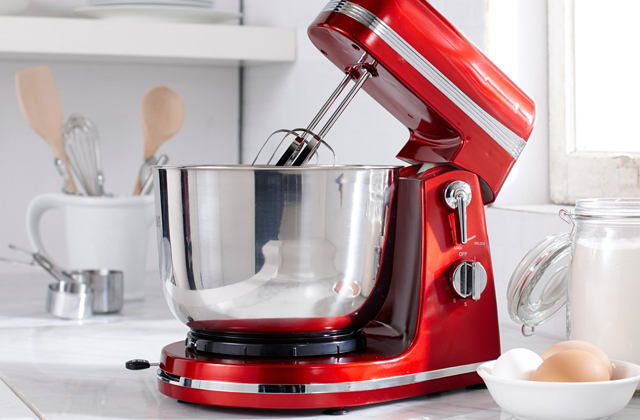 The Tower Pro T16008 is a multi-purpose kitchen aid that can make almost any culinary fantasy come true. That said, the pressure cooker is pretty small and compact, it has ergonomic controls and intuitive operation. Any kitchen appliance should be safe to use, and the more powerful and efficient this appliance is, the more important its safety becomes. With regards to the Pressure King Pro PKP5LCH, this pressure cooker comes equipped with 11 safety features. 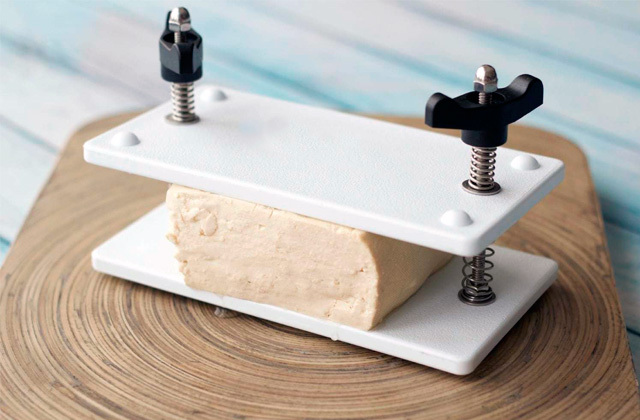 Some of them are straightforward and self-explanatory like cool-to-touch outer wall and handles, an anti-clogging lid, a safety lock on the lid, and an anti-blockage vent. Others are a little more sophisticated such as the pressure regulation protection, automatic temperature, and pressure control, excess pressure control, warning notifications, and moisture collection. Yet, all these features are very important and make the appliance not only safer to use but also more practical. Aside from safety features, this pressure cooker offers some more great advantages. It allows you to retain and preserve up to 90% of the food's vitamins and nutrients and offers multiple cooking modes to make an assortment of healthy foods and vary your diet. It's also quite capacious. 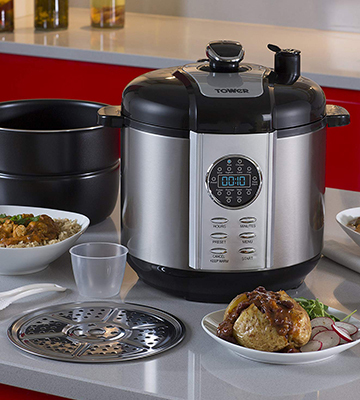 With a 5-litre bowl you can prepare a delicious meal for 3-4 people in just a few minutes. Still, faster doesn't always mean better. In fact, with certain meals and various food items, going slow is the only way to go. 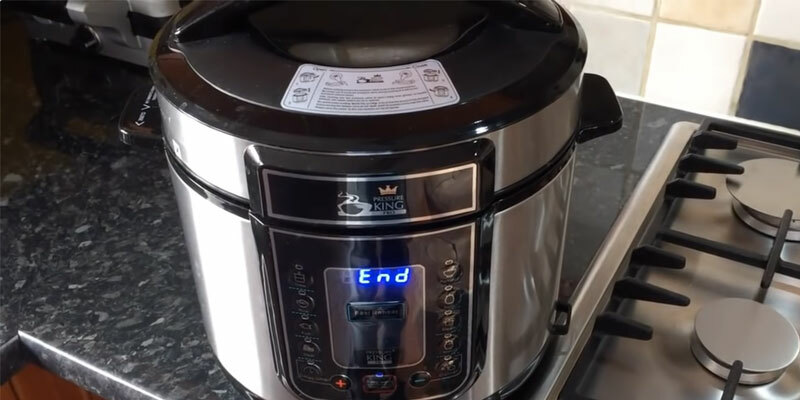 Fortunately, the Pressure King Pro PKP5LCH also boasts the functionality of a slow cooker. Switching to this mode, you'll be able to tenderise generous cuts of meat. Equipped with 12 pre-set programmes, it covers most common cooking tasks. Plus, it has a 24-hour delay timer which gives you the option to have your meals done by the time you and your family get back home. As expected, it also has a keep mode function which automatically kicks in when the cooking time is up. Thanks to this feature, your food will stay nice and warm until you're ready to eat. The only thing we don't like about this product is the inner lid. It's made of aluminium and this makes it quite difficult to clean. Other than that, the Pressure King Pro PKP5LCH doesn't have major issues. With such a number of safety features that make it safe and practical to use, this model is as good of a pressure cooker as they can be. 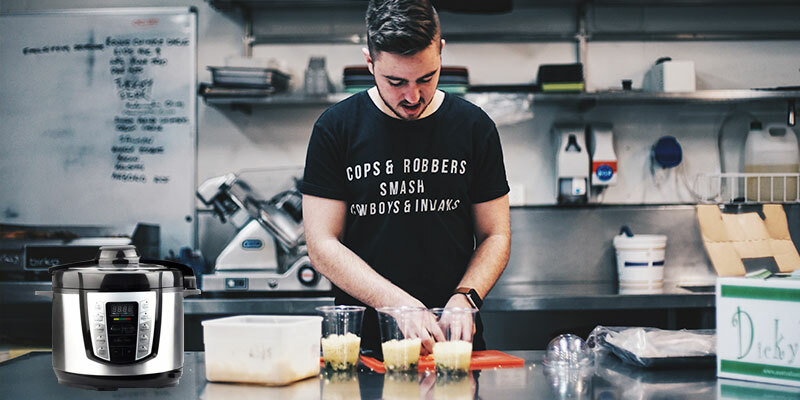 Today we have plenty of appliances for making our kitchen chores less time-consuming: Chef knives for hassle-free cutting, food processors that can chop and shed most everything, mixers, peelers, and more. Yet, food still needs thermal processing, which, unless you're equipped with a high-quality electric pressure cooker, may take quite a lot of time. Wonder what pressure cooker to choose? Take a closer look at the Tower T16005. 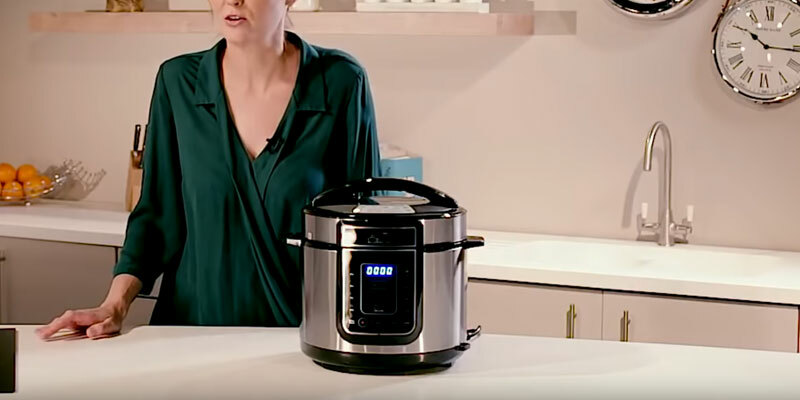 With 6 l capacity that this pressure cooker offers, you'll be able to make a substantial dinner for a whole family in 30 minutes or so. And after the meal is done, a keep warm function will keep it nice and warm. The Tower T16005 has a stainless steel body and ergonomic cool touch handles. In the box, along with the pressure cooker, you get a removable non-stick cooking pot, rice spoon, measuring cup, steam rack, and an instruction manual, which explains how to use various cooking methods (steaming, stewing, pressure cooking, and baking) and how to cook lip-smacking meals from meat, fish, pasta, etc. In addition to the extras, the Tower T1600 includes all safety features necessary for its comfortable use - a safety valve, a steam release valve, and a safety lock. 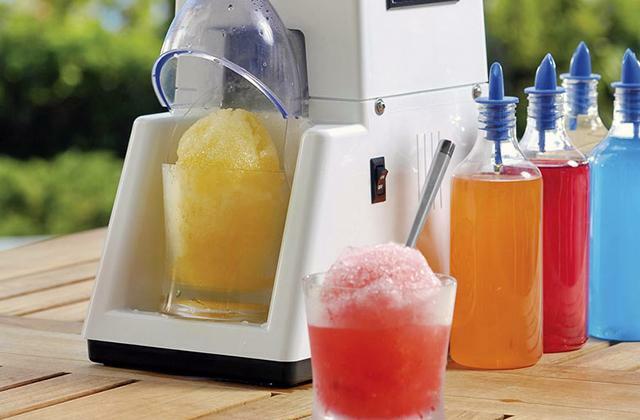 Plus, it has a condensation pot to help minimise spills. The Tower T16005 gives you an easy way to cook delicious and wholesome meals. Just place the pot into the appliance, add the needed ingredients according to the recipe, and screw on the lid. Then, select one of the preset modes, adjust the cooking time if necessary, and press the start button. That's it. When the meal is ready, the device will switch to a keep warm mode automatically to maintain this meal nicely warm. The only thing to remember is that before opening the lid and serving your meal to the table it's prudent to release the steam using a steam release valve on the top of the lid. We should mention that not all people are happy with the provided recipe book. It does seem to have a rather scarce collection. That said, it doesn't make it an inch worse, and if you'd like to experiment with flavors and tastes, there are tons of recipes online. All things considered, the Tower T16005 is a great piece of kitchenware. It is capacious enough, has many cooking modes, and will let you make a great variety of meals you and your family love best. Most electric pressure cookers have an average capacity equal to 5 litres, which is quite enough for a small family that doesn't have a habit to cook in advance. But if you're looking for a model that will allow you to prepare large batches of healthy meals for a big family or company of friends, we'd recommend you to set your eyes on the Charles Jacobs with a 8 l cooking bowl. Featuring 1250 Watts of power, the unit will dramatically speed up the cooking process. You will have your meals ready up to 70% faster than when using conventional cooking methods. With that, most vitamins will remain intact in the process. Additionally, an insulated design of the unit and precise temperature control ensure that the energy is used in the most efficient way and you won't spend that much money on electricity bills even if you use the appliance throughout a day to make breakfast, lunch, and dinner for your big family. Let's have a closer look at the functions this model offers. 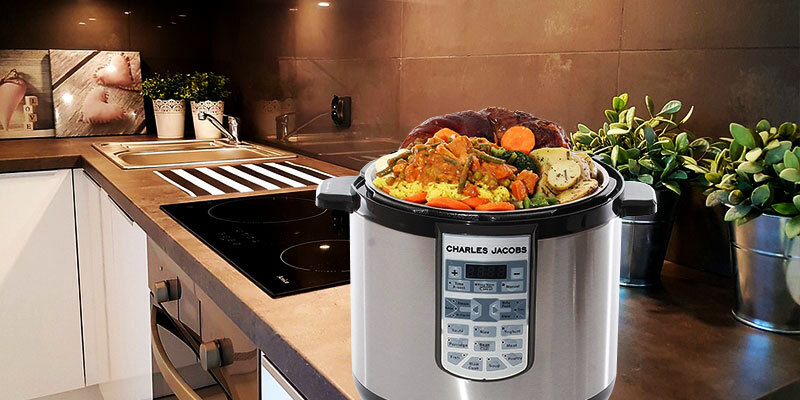 With the Charles Jacobs pressure cooker, you can steam, stew, saute, bake, and even slow cook foods. The device features as many as 17 preset programmes, allowing you to make a whole variety of dishes without manual adjustments. All you need to do is press a single button. The appliance features special programmes for cooking rice, porridge, beans, fish, poultry, meat, soup, yoghurt, and baby food. Also, it has keep warm and reheat functions and allows you to customise cooking modes manually, if so a recipe requires. Functionality aside, let's see what's in the package. In addition to a non-stick cooking pot, the box contains a steam rack and a rice spoon. Also included is a measuring cup which will make it easier to measure off the right amount of ingredients. Along with a measuring cup, you can also use kitchen scales. Many recipe books give pretty detailed guides and descriptions. The downside of the Charles Jacobs pressure cooker is that it's a bit on a heavier side and looks bulkier than its counterparts. Yet, this is something to be expected from a device with 8 litres of capacity. 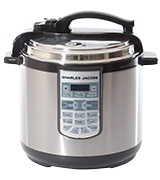 All in all, the Charles Jacobs programmable pressure cooker is an excellent choice for a large family. Boasting intuitive operation and a wide selection of preset modes, it will make preparing big batches of food as easy as possible. 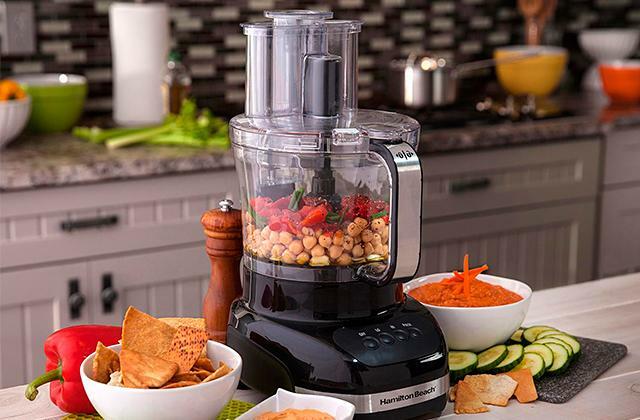 The PowerDoF YA500 is a real find for those who live a healthy lifestyle and love to eat delicious food. First of all, the device can replace several appliances - a pressure cooker, a slow cooker, a rice cooker, and a steamer. Which means it uses healthy cooking methods allowing you to preserve more vitamins in the food. With that, it also enables you to prepare juicy meat; the only difference between cooking it in an oven and the PowerDoF YA500 is that you will use considerably less or no oil. 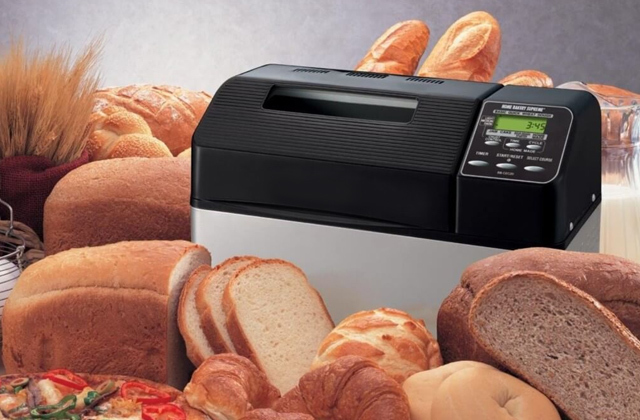 The PowerDoF YA500 features a good set of modes and cooking methods. They are marked so you can see which one to use with what. 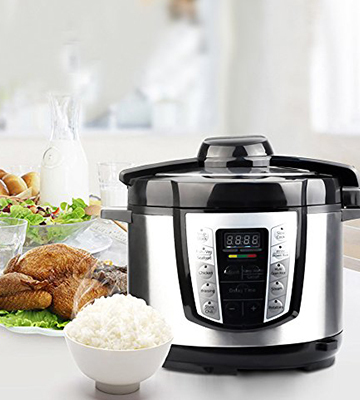 The thing we like best about this pressure cooker though is that it has a special setting for cooking brown rice or multigrain rice, a cooking mode which you won't find on many other pressure cookers in this price range. Thanks to this setting, you'll be able to make a variety of nutritious and delicious dishes from rice, porridge, quinoa, bulgur, and other whole and refined grains. 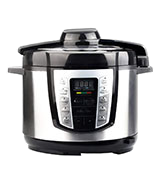 In all, the PowerDoF YA500 has all the features people come to expect from a pressure cooker. Along with numerous cooking modes, it has a delay timer which allows you to have your dinner done by the time you come back from work. Also, it has a keep warm function, so even if you return home late, your meal will stay warm. Being thought-out to the tiniest detail, the PowerDoF YA500 is incredibly convenient in use (though it might take some time of getting used to). The electric pressure cooker features an ergonomic handle. It also has a big control board with buttons for preset modes and "+" and "-" buttons for altering the cooking time and temperature. Therefore, you can select one of the preset programmes or adjust the cooking time manually, experiment with various ingredients, and create your own recipes. A measuring cup and a rice spoon are included in the box, so it will be easy for users to follow the recommended water to rice ratio, stir, and serve the dishes. Summing up, this affordable electric pressure cooker is capacious enough to make a family dinner, yet it doesn't take too much space on a counter. Whether you are a meat-eater or a vegetarian, the item will allow you to make lip-smacking meals in the shortest time possible. 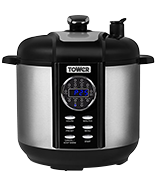 The Tower T16008 offers more than most other multifunctional pressure cookers out there. Not only can it help you cook soups, stews, yoghurt, meat, fish, and grains. This powerful appliance can be used for hot and cold smoking as well. It comes equipped with all accessories you will need for the procedure, including a smoking pot and a rack with removable shelves, a charring cup with a lid, and even a bag of wood chips. The rack is quite large to hold a whole chicken - when you choose to use the shelves, you can vary their height for smoking larger cuts of meat or smaller items like sausages or chicken legs. 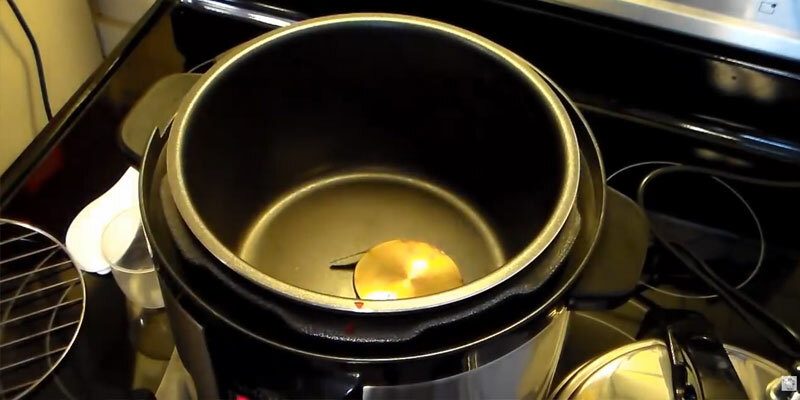 Just place the smoking pot into the appliance (make sure that the red indicators are properly aligned), put a few chips into the charring cup, close it with the lid, slide it onto a heating bar, and pour in a cup of water (for hot smoking). Then, place the smoking rack with your ingredients into the pot and close the appliance with the lid. Understanding that this process might seem complicated for novice cooks, the manufacturer provides step-by-step instructions, which is a nice touch. Boasting hot and cold smoking functions in addition to other popular pressure cooker settings (rice, chicken, soup, yoghurt, cake, fish, pulses, porridge, meat, and browning), the device can help you cook almost any kind of food. 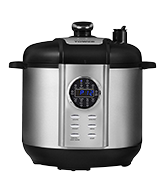 The pressure cooker/smoker has six ergonomic buttons to navigate through the settings and activate the required one without making any manual adjustments. Another nice feature of the device is a 'twist and lock' feature. 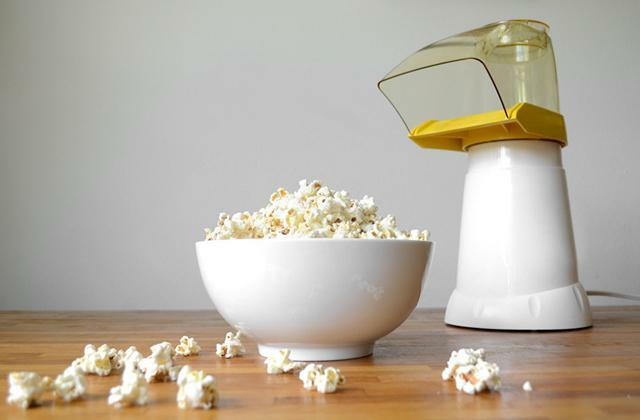 It will allow you to easily remove the lid with one hand. With the Tower T16008, you will have more free time in the mornings. Thanks to the 24-hour delay and a 24-hour keep warm function, it can cook the food for you and keep it warm as long as you desire. This way, you'll not need to hastily make breakfasts and will have more time for other things. While we definitely like the Tower T16008, it's not completely flawless. Some users have noted that, if used for smoking for some length of time, its lid tends to retain unpleasant smell. That said, this is the only issue we've found, and in fairness, it's rather small to become an off-putter. 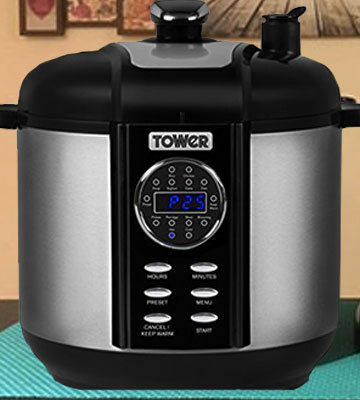 Moving to the package, the Tower T16008 comes with a rice spoon, a steam rack, and an easy-to-follow manual with healthy and delicious recipes. Although this isn't the richest package we've seen, it's the standard and you'll unlikely need more tools. What we found more impressive, however, is the manufacturer's 3-year warranty. It not only gives you peace of mind as for the service life of the pressure cooker, it is a vivid proof of the company's knowledge that they produce only high-quality products. Great inventions are often based on simple physics laws. And one of them says that temperature and pressure are directly proportional. 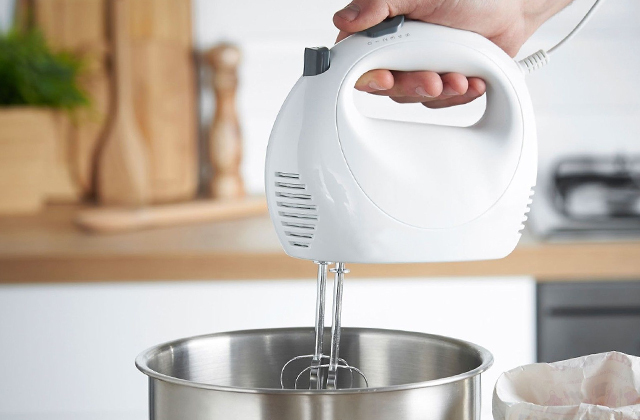 In a heated sealed vessel, evaporated steam is trapped inside so it builds up the pressure which makes the water boiling point and the cooking temperature, accordingly, rise. This means, your foods will be cooked faster with less electricity involved. 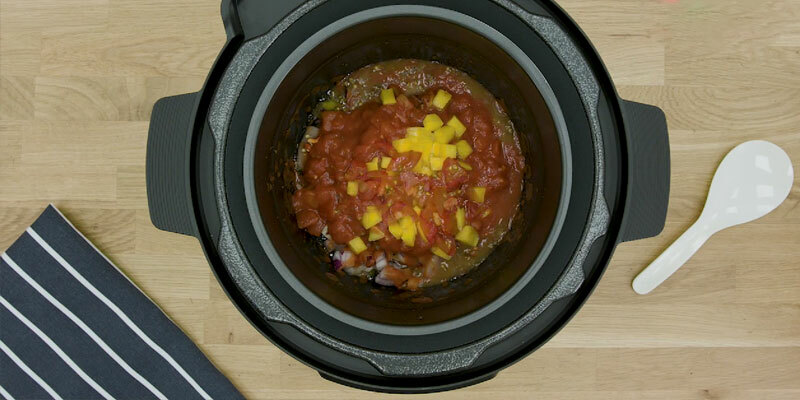 Modern electric pressure cookers have a number of user-friendly features that make prepping foods unbelievably simple. They allow you to pre-set cooking time, delay start, keep your foods warm till you are ready to serve them, adjust the pressure and heating intensity, as well as take advantage from pre-programmed cooking modes. In other words, you won't need to supervise the cooking process as you would with their stovetop counterparts. 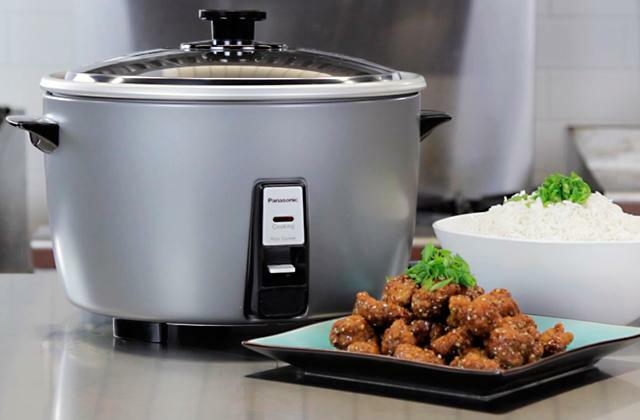 With the tendency to live healthier and spend less time on cooking, electric pressure cookers have become incredibly popular. Today, you can find a plethora of options on the market, and to make your choice less daunting, we have reviewed the five best electric pressure cookers for any need and budget. To quickly chop, slice, and shed the ingredients before dropping them into an electric pressure cooker, we recommend you get one of these wonderful food processors. And if you are looking for more energy-efficient solutions for your kitchen, you might also be interested in our induction cooktops review. These are the first features to consider when choosing an electric pressure cooker. The general rule is: the larger the cooking pot is, the more powerful the heating element should be to provide the efficient performance of the appliance. As for the pot's capacity, choose it depending on your needs. If you only cook for yourself, there might be no need to buy a large electric pressure cooker, especially if you have a small kitchen. In this case, a compact model with up to 5-litre capacity is an excellent option. On the other hand, if you need to feed a big family, a pot that allows making generous batches (6-litre or even larger) will be the best choice. Luckily, some capacious models have a pretty small footprint, so they won't take too much space on your countertop. Electric pressure cookers usually have a number of preset modes that will enable you to make a variety of dishes with a single press of a button. You won't have to preset temperature and cooking time manually (though with some programmes you can adjust them if needed). Modern devices have at least eight settings, but some sophisticated models offer almost twice more. Moreover, some units will allow you to steam, slow cook, and even smoke foods. The main tip here is to make sure your chosen pressure cooker features those settings you are going to use. 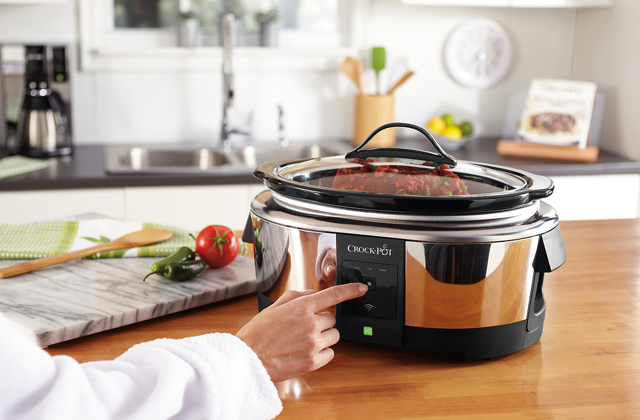 The best electric pressure cookers are equipped with a keep warm function and a delay timer as well, which means you can have your meals ready whenever you want and keep them warm even if you are late for dinner. 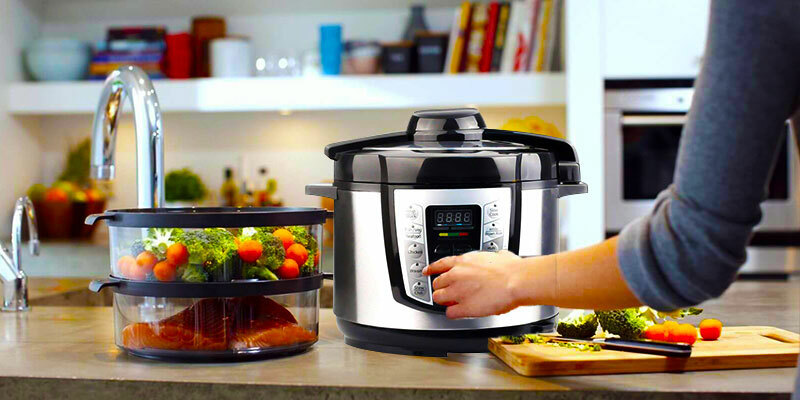 Unlike their earlier prototypes, electric pressure cookers are equipped with a number of features to ensure the safety of use, including automatic temperature and pressure control, safety lock lid, cool outer wall and handles, anti-blockage vent, and more. For example, some models have lids that only open when the pressure inside the pot normalises. Still, some cookers let you lower the steam by using a steam release valve. Please, carefully follow the manufacturer's instructions to prevent any injury caused by hot steam. Today most pressure cookers have an ergonomic non-stick inner pot and come with a rice spoon, measuring cup, and a user manual at the least. In addition, the purchase usually includes a water catch pot to keep your countertop clean and dry. If a pressure cooker doubles as a steamer, a steam tray is often included as well. Furthermore, some manufacturers have gone so far as to provide their pressure cookers with a smoking function; such products are equipped with special smoking pots and racks in addition to all the aforementioned accessories you typically get. because the pot is sealed and the steam is trapped inside. Vitamins and nutrients dissolve in the water you cook the ingredients in. So, unless you are making a broth, it is more preferable to steam foods rather than boil them. That's exactly what an electric pressure cooker offers. You do not have to spend hours on cooking big batches. Whether you're making a dinner for two or your whole family, it will be ready in no time. Shorter cooking time, in addition to other benefits it brings, means lower electricity bills. Compared to conventional stovetops and ovens, electric pressure cookers trap heat inside, so there is less of it emitted into the kitchen. Any time of year, you will feel comfortable concocting appetizers or salads, while the main dish is being prepared. You can put frozen meat, poultry, and other ingredients into the pot and have them quickly defrosted and cooked. For instance, you can prepare a whole chicken from frozen in about 45 minutes. Pressure cooking is a great alternative to slow cooking. Just like the latter, it will allow you to make any meat tender, juicy, and melting in your mouth, but in a significantly shorter time. The cool thing about using an electric pressure cooker is that you can make literally any dish without time-consuming preparations. For example, you can cook beans without presoaking them. Most electric pressure cookers have a special setting (or even a few settings) for cooking rice. Hence, you do not need to buy a rice cooker separately. Do not forget to check the recommended rice to water ratio and use an included measuring cup to get the right proportions of your ingredients. 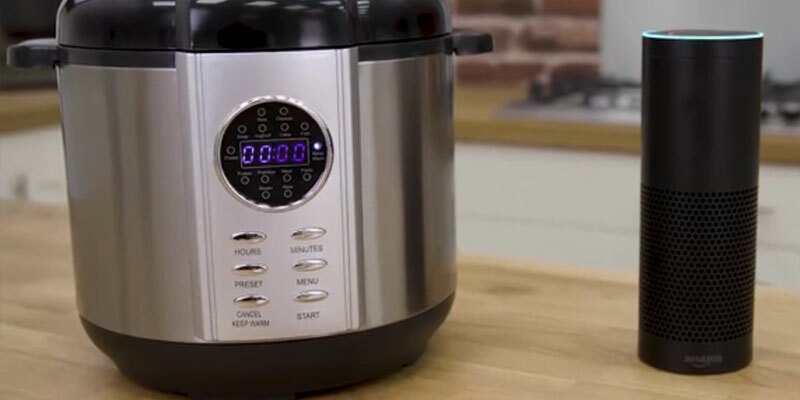 You can use the appliance to make flavoursome and nutritious meat and vegetable broths. If your chosen model is equipped with a porridge setting, you can cook a healthy breakfast in a fraction of time, and without the need to monitor the cooking process. 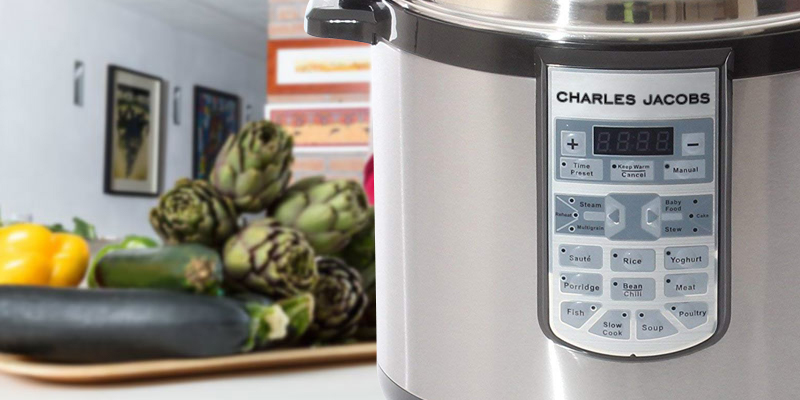 An electric pressure cooker is ideal for making baby food - it will allow you to make delicious and nutritious vegetable purees free from any artificial additives. You can make fantastic one-pot meals to treat all your family and friends without spending all day cooking.